After 40 years of a successful litigation practice, Gene is focusing solely on Mechanic Dispute Resolution, applying his knowledge, creativity, and tenacity to achieve successful outcomes for parties who seek to resolve legal disputes, regardless of their complexity. 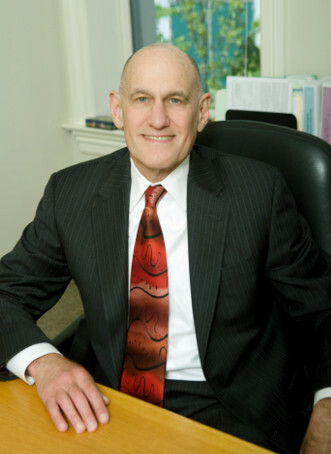 Gene started his litigation career as a New York State Deputy Assistant Attorney General, representing state agencies in federal and state lawsuits. After moving to Oregon, Gene co-founded and was managing partner of Portland based Goldberg, Mechanic, Stuart & Gibson, where he practiced law for 27 years. He more recently founded and practiced law with Mechanic Law Firm. During his legal career, Gene successfully represented plaintiff and defendant clients throughout the country in a wide array of litigation in federal and state trial and appellate courts, including the U.S. Supreme Court. His cases have involved employment and labor law, ERISA, healthcare, civil rights and constitutional law, bankruptcy, corporate and business disputes, administrative law, contracts, and torts. He won many jury verdicts, court decisions, arbitrations, and administrative hearings for his clients, including class action lawsuits. Gene has received many honors and awards, including a Martindale-Hubbell AV peer review preeminent rating and recognition in Super Lawyers and Best Lawyers. Gene is a former chairperson of the Oregon State Bar’s Labor and Employment Section and a former Executive Committee member of OSB’s Health Law Section. He has published numerous articles and is a frequent speaker on several legal topics, including legal ethics. Gene’s personal interests include running, tennis, downhill skiing, photography, and travel. Gene is certified in litigation mediation by Pepperdine Law School’s Straus Institute of Dispute Resolution and has many additional hours of mediation training. Gene understands the investment litigants make to resolve a lawsuit through mediation and works hard to find successful solutions for litigants to settle disputes. He pursues an insightful, non-coercive, and even-handed approach to gain the parties’ trust. Gene is also available as an arbitrator. During his career, he represented parties in numerous arbitrations and administrative proceedings. He brings experience and insights to arbitrations that enable him to render fair and well-reasoned decisions. Health Care Benefits in the Age of the Affordable Care Act and Oregon Health Care Reform, University of Oregon Labor Education and Research Center, Portland, Oregon (May 2012).